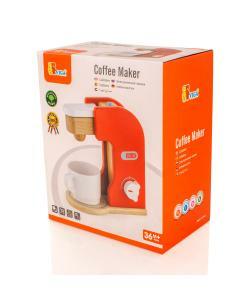 It's time for coffee with the Viga Wooden Coffee Maker The realistic coffee maker comes with a coffee cup and coffee bead. 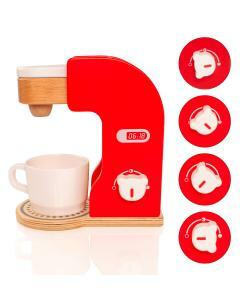 Lift the lid to place the coffee bead in the slot, press the push button and children can pretend to make the perfect cup of coffee! 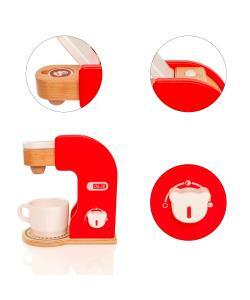 The turning time dial makes "click clack" sounds. 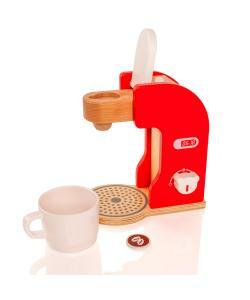 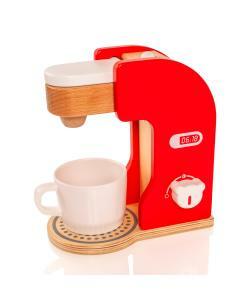 Place the coffee bead in the slot, press the push button and children can pretend to make the perfect cup of coffee! 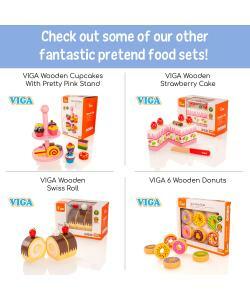 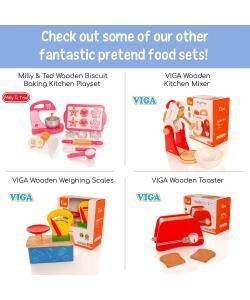 Part of a set of Viga kitchen accessories suitable for stand alone play or to complement the various Viga Kitchens.